The Music Festival is set to make his return to Paris, as in all France, Sunday, June 21, 2015. On this occasion, the Paris region you among most musicians invade the streets of the capital and bars for honor, as it should, this 34th edition of the Music Festival. See you very soon to see the tips of this exceptional day. After a 2014 edition under the sign of urban music, laFête of Music in 2015, not to be missed on Sunday 21 June, decided to speak of it again with a new edition et34ème equally exceptional. This year, the event is under the theme "Together in Music"! And because music brings, inspires, provokes. More than ever, this new, 34th edition of the World Music Day is an opportunity to celebrate living together, founding value of this celebration of sharing! All live music is a state of mind. All live music is a watchword. Live music together, it is above all recall the unifying power of music. Recall that the Festival of Music was founded in 1982 by the Ministry of Culture. "Make music, Music Day", the formula became watchword was not the slogan. This mobilization of professional and amateur musicians, this new attention to all musical genres and became, through the immediate success of a popular event, the translation of a policy intended to give place to the amateur as well as practical rock, jazz, song and traditional music. Free concerts, the support of the SACEM, media relay, the support of local authorities and the accession of increasingly large population, would make a few years, a major French cultural events. Besides, she begins to "export" in 1985, on the occasion of the European Year of Music. In less than fifteen years, the Festival of Musiquesera included in over one hundred countries on all five continents! This year, on the occasion of the 34th celebration of music, get ready to live an exclusive interactive live experience. Chloe and IRCAM indeed give you appointment in the gardens of the Royal Palace, Sunday, June 21, 2015, for a unique participatory evening. On the occasion of the festival of music in 2015, the Baiser Salé offers live, Sunday, June 21, the rhythm of a Jam Session in tribute to Motown! New and tenth edition for the 36h Saint Eustache Festival! The event awaits on Saturday 20 and Sunday, June 21, 2015 at the Eglise Saint Eustache for 36 hours of free concerts in a unique setting. The program? Tahiti Boy and the Palmtree Family, Joy, Minors, Kid Francescoli or Kyrie Kristmanson. This year, for the new Music Festival which takes place Sunday, June 21, 2015, the Swedish Institute opened in Silvana Imam and Beatrice Eli for a unique and complimentary musical moment! Rzeszów Klezmer Band and The Bester Quartet invest the Museum of Art and History of Judaism, Sunday, June 21, 2015, on the occasion of the 34th edition of the Music Festival. As every June 21, the Irish Cultural Center has decided to celebrate the Festival of Music as it should be! This year the venue hosts again several groups and musicians reflecting the richness of the Irish music scene. The program? Lisa Hannigan but The Young Folk or Zoë Conway and John Mc Intyre. DJ Nadbil, Djazia Satour, Aldjia Leila, Toufik Oumenassi and Naoufel give you appointment on the forecourt of the Institute of the Arab World, Sunday, June 21, 2015, on the occasion of the 34th Festival of Music. 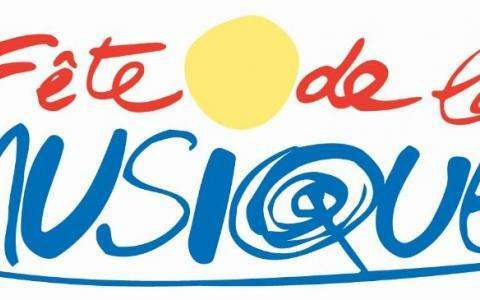 Go to the Invalides, Sunday, June 21, on the occasion of the 2015 edition of the World Music Day. The program? A unique and musical Borealis Night where many Canadians talents will parade on the temporary stage set up for the occasion on the esplanade. The famous Musée d'Orsay as the Festival of Music and invites the harmony of the Republican Guard Orchestra and the Fanfare of Cavalry of the Republican Guard to occur in the central Avenue of sculptures, the time of a Free concert not to miss Sunday, June 21, 2015. Le Petit Palais also celebrates the Festival of Music and associates for the occasion to the association "Young Talents" for free concerts not to be missed in the museum auditorium, Sunday, June 21, 2015 14:30 at 17:30. Sunday, June 21, on the occasion of World Music Day 2015, the Madeleine Church opens its doors to ALLELUJA Choir. Point Instant makes his music festival Sunday, June 21, 2015, from 5:00 p.m. to 3:00 am. The program includes concerts, DJ sets, giant barbecue and bar. This year the festival celebrates Deezer music and gives you appointment Sunday, June 21, 2015, from 14.30 to 0.30 am to 10 am free music on the Place de la Republic. The program? Skip The Use, Jeanne Added, Tha Trickaz, Marina Kaye or ALB. Reservoir invites you, Sunday, June 21, his musical event called Rock Circus. On the menu? Many groups to make you dance until dawn! Find Tiwayo concert in China, Sunday, June 21, for the 2015 edition of the World Music Day. This year, the 34th edition of the Fête de la Musique is celebrated once again on the temporary stage of Bercy Village to mark the return of the Terrace in Music Festival. On the menu this Sunday, June 21, 2015? Yelli-Yelli, Grand Ocean and Polly & The Fine Feathers. The Immigration History Museum is participating in the 34th Festival of Music, Sunday, June 21, 2015, and proposes, for the occasion, a workshop practices and discovered by the 93 SuperRaï Band but also a concert Fanfaraï. See you Sunday, June 21, 2015, on Place Jacques Demy, in the 14th arrondissement of the capital, to celebrate the feast of music with a series of free concerts. This year the music festival is celebrated also on the Parvis de la Mairie of the 15th arrondissement and gives you and appointment Sunday, June 21, 2015 for a series of free concerts. Radio France is a partner of the 34th Festival of Music. On this occasion, the Radio House opens its doors to the public on Saturday 20 and Sunday, June 21, 2015, for two days of music programming with the menu 25 hours 10 concerts and shows! Launch of the 2015 edition of Play Me I'm Yours at the House of the Radio. Özlem Bulut and Hamed Bouzzine squatting Institute of Cultures of Islam, on Sunday 21 June, for a free concert on the occasion of the Festival of Music in 2015. Find great Bensé, Sunday, June 21, 2015, the Three Donkeys, on the occasion of the 34th Festival of Music. For the festival of music in 2015, the Philharmonie de Paris offers to vibrate, Sunday, June 21, to the rhythm of Beethoven's Ninth Symphony. And for the moment is unique and exceptional soloists Luba Orgonasova, Petra Lang, Matthias Goerne and Michael Schade and the Choir of the Paris Orchestra will be joined by 500 singers amateurs Île-de-France! For fans of world music! On Sunday 21 June, for the feast of music in 2015, the Studio of the Hermitage hosts Roda Do Cavaco for exclusive free concert.